Special counsel Robert Mueller was supposed to head off for the holidays with a key part of his probe taken care of: the sentencing of ex-national security adviser Michael Flynn. 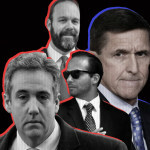 But Tuesday’s sentencing hearing went off the rails, despite agreement from both Mueller and Flynn’s teams that Flynn should receive no jail time thanks to his “substantial” cooperation. As it turns out, Flynn’s attorneys made a bad bet by implying in court filings that the FBI tried to entrap Flynn into lying to them by not explicitly saying that doing so was a crime. Mueller made it clear that a former general should be aware of this simple fact and that FBI agents gave him ample opportunity to come clean. In court, Judge Sullivan made Flynn say straight out whether he thought he was entrapped. Flynn admitted he was not, and knew that it was a crime to lie to the FBI. But Sullivan then made it clear that he was outraged by Flynn’s conduct, from lying to federal agents on the White House grounds to acting as an unregistered lobbyist for Turkey (the judge got some key details wrong). With the prospect of prison time hanging in the air, Flynn took Sullivan up on his offer to postpone the sentencing. Flynn’s next status conference is set for March 19. In the meantime, he offered to assist with the cases brought against his two former business partners for their work to discredit a Turkish cleric loathed by the Erdogan administration. While some GOP senators have said it’s clear that Flynn committed a crime, his supporters — and the White House — are still insisting he was “ambushed” by the FBI. Trump wished Flynn “good luck” ahead of his court appearance, even after he attacked fellow cooperating government witness Michael Cohen as a “rat” earlier this week. Trump attorney Rudy Giuliani made the eyebrow-raising concession that federal prosecutors are looking into the President’s business records going back to the early 1980s. A mysterious sealed document related to Cohen’s criminal case was “placed in vault” with the Southern District of New York in Manhattan a week after his sentencing. The House Intelligence Committee voted to agree to Mueller’s request to turn over an official transcript of Roger Stone’s testimony. Stone countered by calling on soon-to-be-replaced committee chairman Devin Nunes (R-CA) to release his interview publicly. And drama is brewing over oversight of the Mueller probe itself. Acting Attorney General Matt Whitaker was reportedly told by Justice Department ethics officials that he should recuse himself from the Mueller probe due to his past criticism of the investigation. 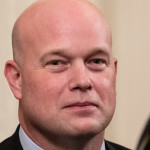 But Whitaker took the advice of his own advisers, who told him there was no need to do so. California Gov. Jerry Brown isn’t concerned that the increasingly diverse, women-dominated Democratic Party will chafe at having a white male nominee in the 2020 presidential campaign. “What’s wrong with white men?” Brown, who has ruled out running himself, told the Associated Press. Brown was asked for his thoughts on Joe Biden, Beto O’Rourke and Sen. Bernie Sanders (I-VT) leading the chatter about the 2020 Democratic field. White men will “probably be running things for quite a bit of time,” Brown continued. “Look, it’s not the skin color, it’s who’s the right person with the right set of qualities to lead the nation,” he told the AP. House Minority Leader Nancy Pelosi (D) said Thursday evening that she was disturbed to learn about the abrupt resignation of Secretary of Defense Jim Mattis. “I am shaken by the resignation of Gen. Mattis, for what it means to our country, for the message it sends to our troops and for the indication of what his view is of the commander-in-chief,” Pelosi told ABC News. Mattis tendered his resignation in a letter laying out his disagreements with President Trump on everything from “treating our allies with respect” to growing to close to “authoritarian” countries like Russia and China. Mattis reportedly chose to resign this week over his concerns about Trump’s decision to withdraw U.S. troops from Syria and Afghanistan without a plan in place for what will happen once they are gone. The retiring general was making a clear statement with his carefully-worded letter, distributing copies of it throughout the Pentagon, according to a New York Times report. In a barrage of tweets over the past 12 hours, President Trump alternately praised House Republicans for caving to his demand for border wall funding, warned their colleagues in the Senate that they better follow suit, and blamed the entire prospect of a shutdown on Democrats who have steadfastly opposed the wall project. Just last week, Trump said he would be “proud” to shut down the Republican-controlled government to get his wall money. This last-minute crisis of Trump’s own making got underway Thursday afternoon. 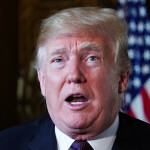 The President caved to right-wing criticism and insisted that he would not sign off on a government funding bill that did not include $5 billion he requested to construct a wall on the U.S.-Mexico border. House Republicans caved in turn, flying back to Washington, D.C. on the cusp of the Christmas holidays to sign off on a new package. As Trump crowed in his tweets, the new bill passed largely along party lines, 217 to 185. It now goes to the Senate, where Republicans need some Democratic votes to pass the 60-vote threshold. Funding for the federal government expires at midnight. Trump encouraged Senate Majority Leader Mitch McConnell (R) to change the Senate rules so that only a simple majority will advance the legislation to a final vote. The President also devoted a few tweets to his admiration for the concept of walls themselves. President Trump is no master of subtlety. Especially when it comes to the special counsel’s Russia investigation, he usually just comes right out and shares his take in a pre-dawn tweet or Fox News interview. So it’s instructive to see what the President has said about his associates caught up in Robert Mueller’s probe — most of whom have offered some degree of cooperation — and how his attitude toward them has changed over time. Given Trump’s perspective that cooperating with the government “almost ought to be outlawed,” the range is remarkable. A mysterious sealed document in Michael Cohen’s criminal case was referenced in the online court docket in federal court Wednesday. 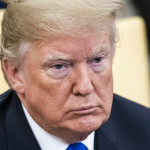 New York Attorney General Barbara Underwood announced Tuesday that President Trump signed off on an agreement to dissolve his scandal-plagued private foundation. Underwood’s lawsuit against Trump and his three oldest children for violating state charity law will move forward. This Week: Everybody Gets A Sentence! It’s sentencing season. Michael Cohen, former fixer and lawyer for President Trump, was sentenced to three years in prison for what a federal judge called a “veritable smorgasbord” of crimes, ranging from tax evasion to lying to Congress about his contacts with Russia. Cohen’s attorneys tried to present him as a family man who was led astray by Trump, but who was now enthusiastically cooperating with special counsel Robert Mueller. 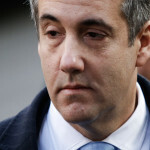 But U.S. District Judge William Pauley agreed with Southern District of New York prosecutors, saying Cohen needed to be held up as an example of what happens to those who break campaign finance laws, cheat taxes, and generally undermine democracy. At the dramatic sentencing hearing, a tearful Cohen promised to continue to cooperate with government investigators in the coming months. He’s due to report to prison in March. In court and in interviews, Cohen and his defense lawyers have reiterated that Trump directed him to make hush money payments to women to protect his 2016 presidential campaign, knowing it was against the law. Cohen has offered to share what he knows about Trump’s role in these felonies and other misconduct with everyone from Congress to the public. But Cohen isn’t the only person Trump has to worry about. Michael Flynn is set to be sentenced on Tuesday Dec. 18 after extensively cooperating with Mueller on matters including Russia’s contacts with the Trump campaign. Mother Jones reported this week that Flynn had previously unreported communications with the Russian ambassador about foreign policy issues prior to Election Day 2016. Flynn’s attorneys tried to imply in a sentencing memo that the FBI entrapped him because they didn’t tell him lying to the FBI was a crime. Mueller’s rebuttal on Friday said the retired U.S. national security advisor should have known this incredibly obvious fact. New reporting in Vox, meanwhile, suggests Manafort helped advise the Trump campaign on how to undermine the Russia investigation, and kept up this secret contact even after he started to cooperate with the special counsel. Accused Russian agent Maria Butina pleaded guilty to a felony conspiracy charge of trying to develop backchannel ties between the Russian government and high-level GOP political operatives. She’s now cooperating with the government. And a criminal investigation has been opened into whether Trump’s inaugural committee accepted foreign funds in exchange for access to the new administration, or misallocated some of the record $107 million it raised. The probe stemmed from SDNY’s investigation into Cohen. Special counsel Robert Mueller on Friday filed his response to former national security adviser and cooperating witness Michael Flynn’s sentencing memo. Flynn pleaded guilty to lying to the FBI last year about his contacts with Russian officials and is set to be sentenced on Dec. 18. In their own memo filed Tuesday, Flynn’s defense attorneys asked he be spared prison time for his “uncharacteristic error in judgment.” They suggested that federal agents may have lured him into a false sense of security before he agreed to the Jan. 24, 2017 interview about his communications with Russians, failing to notify the retired general that it is a crime to lie to the FBI. Mueller said in a filing earlier this month that Flynn offered “substantial” cooperation to his investigation over the past year, and recommended that he serve no time behind bars. In the latest document, the special counsel takes a firm tone with Flynn for implying there was anything untoward about the FBI’s conduct towards him. Mueller notes that Flynn also falsely told the Washington Post, Vice President Mike Pence, then-Chief of Staff Reince Priebus and then-Press Secretary Sean Spicer that he did not discuss sanctions with the then-Russian Ambassador to the U.S. before President Trump took office. “By the time of the FBI interview, the defendant was committed to his false story,” Mueller said. Former FBI Deputy Director Andrew McCabe also notified Flynn about the topic of the interview—what McCabe called “his recent contacts with Russian representatives”—before Flynn sat down with agents, according to contemporaneous notes made by McCabe and submitted by Mueller to the court. “The interview was voluntary, and lacked any indicia of coercion,” Mueller said. The agents even tried to signal to Flynn that they were aware of the exact nature of his contacts, according to the document. “When the defendant said he did not remember something they knew he said, they used the exact words the defendant had used in order to prompt a truthful response,” Mueller wrote. Read the memo and two exhibits submitted by the special counsel below.